Movie Fanatic is set to bring you a live play-by-play of the 2013 Golden Globes Awards that honor the best that Hollywood has to offer for film year 2013. The Golden Globe Awards nominees list is a varied one, from Lincoln, Silver Linings Playbook, Zero Dark Thirty, Argo and Les Miserables... any one of them could emerge holding the coveted Golden Globe trophy. We break down the movie awards as they happen. So sit back, relax and let Movie Fanatic bring you the minute-by-minute account of the events happening inside the Beverly Hilton. 8:00 p.m. Tina Fey and Amy Poehler take the stage as all the stars race to their seats. Poehler nails it as she says, "Only at the Golden Globes can the beautiful people of movies rub elbows with the pig faced TV stars!" Poehler again gets the best laughs when she congratulates Kathryn Bigelow and says she hasn't been following the controversy involving the torture scenes in her Zero Dark Thirty. "When it comes to torture, I trust the woman that was married to James Cameron for three years." 8:07 p.m. The duo introduce Bradley Cooper and Kate Hudson to present the first movie award of the night, Best Supporting Actor. And the winner is... Christoph Waltz! That's a surprise, most pundits felt that the award would go to Tommy Lee Jones for Lincoln. Instead, the Django Unchained star takes home his second Supporting Actor award in a row for appearing in a Quentin Tarantino film after those killer lines he extoled with Inglorious Basterds quotes. Although Movie Fanatic doesn't think that the Golden Globes has too much sway over Oscar voting, in this particular category the Jones momentum might have been altered. 8:21 p.m. Catherine Zeta Jones takes the stage to present scenes from the first of the Best Picture nominees, Les Miserables. It's short, sweet, and captures the film as much as it can in 60 seconds. 8:30 p.m. Rosario Dawson hits the stage, looking fabulous in sky blue, as she introduces highlights from another Best Picture nominee, The Best Exotic Marigold Hotel. Have to say, this particular clip does a much better job at capturing the magic of the movie than the one for Les Mis! 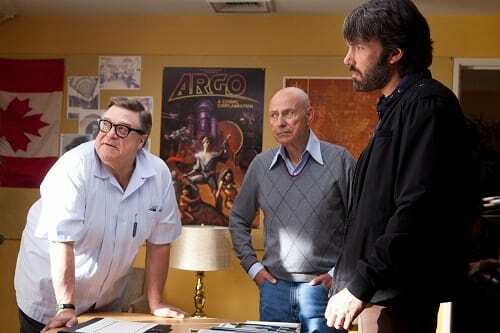 8:42 p.m. John Goodman and the real-life Tony Mendez, that Ben Affleck's character was based on... introduce the clip for Argo. 8:45 p.m. Parker stars Jennifer Lopez and Jason Statham take the stage to announce the winner of Best Original Score. If Lincoln doesn't win... it'll be a crime! And the winner is... Michael Danna for Life of Pi. The shocks continue! Although it is a stunning score, and Williams has won many, many times before. And now it's time for Best Original Song. Here the favorite is Skyfall. If Adele does not win... it may be the biggest shock of the night. 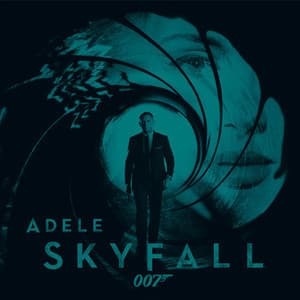 And the winner is... Adele for Skyfall! Consider her a lock to win the Oscar here too... you read it here on Movie Fanatic first. 8:58 p.m. President Bill Clinton hits the stage! In a town that's notoriously bad at keeping secrets, this is a true surprise. Why is he there? Perhaps to introduce a clip from the film that celebrates his favorite ex-president, Lincoln. "In Lincoln we see a man who inspires future presidents," he said. Clinton would certainly know. "We're all here tonight, because he did." 9:03 p.m. Will Ferrell and Kristen Wiig take the stage to present Best Actress in a Comedy or Musical. They launch into a five-minute comedy schtick where they put the actresses and what their movies are about in an all-new context. And the winner is... Jennifer Lawrence for Silver Linings Playbook. Her favorite status to win the Oscar for Best Actress hits a new high after those Oscar nominations were announced this week! Although her jab at "beating Meryl" may have stunted that surge! 9:13 p.m. Django Unchained star Jamie Foxx then hits the stage to introduce a highlight reel of the film he is clearly quite proud of. 9:15 p.m. Jonah Hill and Megan Fox arrive to present the award for Best Supporting Actrress. Everyone in the Beverly Hilton has to know who is going to win this award... Anne Hathaway! Her award calvalcade continues. To say she is a lock for the Oscar is the understatement of the year. 9:23 p.m. Amanda Seyfried and Robert Pattinson make a unique pair as they land on the Beverly Hilton stage to present Best Screenplay. 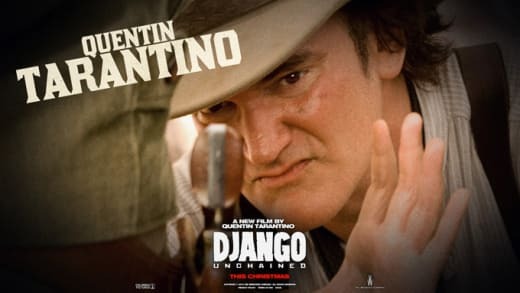 We hope our man Quentin Tarantino takes the prize. And the Golden Globe goes to... QT! Tarantino wins for Django Unchained! It's a shocker... but so well deserved. No one writes dialogue like the madman of the movies does. 9:26 p.m. Jeremy Irons introduces the clip from Salmon Fishing in the Yemen. 9:35 p.m. Titans of action films, Arnold Schwarzenegger and Sylvester Stallone, arrive to present Best Foreign Film. Their banter about who speaks English worse is hysterical. The Golden Globe goes to... Amour! The small film that took the Oscar nominations announcement by storm (including spots for Best Picture and Best Foreign Film) continues its successful award season run. 9:44 p.m. Les Miserables star Sacha Baron Cohen enters with a sifter full of something! Considering he's so animated, it was fitting for the Hollywood Foreign Press to have him present Best Animated Feature. In what could be a preview of the Oscar winner, the award goes to: Brave. Mark Andrews and Katherine Sarafian take the stage with the verve of someone who just won his very own Highland Games! 9:49 p.m. Liev Schreiber lands to present a highlight reel from Best Picture nominee The Life of Pi. The clip does a solid job of presenting the power of Ang Lee's film. We just wish more people would see the movie that earned 11 Oscar nominations -- a fact that was lost in the shadow of the astonishing 12 nominations that Lincoln earned. 9:58 p.m. It's time for the Cecil B. DeMille Award for longtime service to the film industry. This year's winner, Jodie Foster, is introduced by her dear friend Robert Downey Jr. as a clip begins to celebrate her life on and off screen. As she hasn't worked as much of late, the highlight reel of Foster highlights is a reminder of how talented this actress is... not everyone survives being a child star and emerges into a Hollywood luminary. "Forty-seven years in the film business is a long time," Foster said. "Tonight I feel like the prom queen." 10:15 p.m. Halle Berry presents Best Director. Love the cheers for Ben Affleck and Kathryn Bigelow as the nominations are stated! Take that Oscar snubs! And the winner is... Ben Affleck! Seriously... take that Oscars! His missing a nomination was one of the biggest Academy Awards snubs. This is proving to be something truly amazing in Hollywood history. 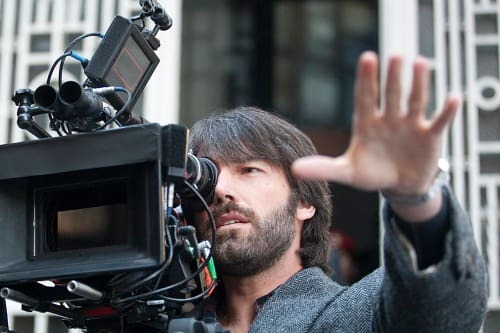 To see Affleck win the Best Director award at the Critics' Awards recently and now the Golden Globes... Affleck should be on that Oscar list. End of story. 10:20 p.m. Josh Brolin introduces a clip from Wes Anderson's Moonrise Kingdom, nominated for Best Picture. 10:28 p.m. Christian Bale (The Fighter) introduces the clip for his good friend's latest directorial effort, David O. Russell's Silver Linings Playbook. 10:30 p.m. Best Supporting Actor in a Comedy or Musical time! Recent Best Director winner Ben Affleck's wife, Jennifer Garner, introduces the nominees. But first she thanks a few people Ben forgot in his acceptance speech, most notably producer George Clooney! This Supporting Actor in a Musical or Comedy award is anyone's for the taking. The winner is... Hugh Jackman for Les Miserables. As his performance is one of the best aspects of the film, this is one award that is well deserved. "Les Miserables is a project of passion and it took a lot of passion to make it," Jackman said in his acceptance speech. 10:38 p.m. Jeremy Renner takes the stage to introduce a clip from his Hurt Locker director Kathryn Bigelow's latest film, Zero Dark Thirty. 10:40 p.m. Dustin Hoffman arrives to hand out the award for Best Picture, Musical or Comedy. Think Les Mis will win? Yes, yes it does! The victory sets up a showdown with Lincoln for Best Picture at the Academy Awards. Although the Golden Globe for Best Picture (soon to come here tonight) is likely at this point to go to Argo, Movie Fanatic believes the Oscar race still comes down to Lincoln and Les Miserables. 10:47 p.m. George Clooney, a perennial Golden Globe favorite, presents the award for Best Actress, Drama. And the Golden Globe goes to... Jessica Chastain for Zero Dark Thirty. The woman deserves it, there is no question, and she is our favorite to take the Best Actress Oscar. Will she? Time will tell. As she did in our Jessica Chastain exclusive interview, in her acceptance speech, Chastain compares director Bigelow to her real life CIA character Maya. 10:50 p.m. Clooney remains on stage, filling in for a sick Meryl Streep to announce Best Actor, Drama. Daniel Day Lewis, a lock since those first Lincoln photos debuted, earns his latest Golden Globe Award for Best Actor. Good show! 10:55 p.m. The commercial for Gangster Squad appears and Movie Fanatic is quoted! 10:57 p.m. The last award of the night. Best Picture, Drama is ready to be announced and it could be anyone's. Will it be Argo, Zero Dark Thirty or Lincoln? Presenter Julia Roberts tells us it's... Argo! We could not be more thrilled for this film. In his thank you speech, producer Grant Heslov graciously thanks those who work in the CIA and "never get the credit." Good show indeed Hollywood Foreign Press. Now... it's on to the Oscars! For a complete list of the winners... check out our full list of Golden Globe winners. 9 Best Amy Poehler & Tina Fey Golden Globe Quotes! Oscar Watch: How Do Golden Globe Winners Alter The Race?